The target is potential members to join our social network. 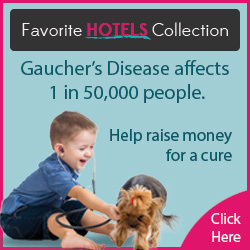 We are 100% separate from the National Gaucher Foundation and have no ties to any other organization or pharma. We need something not copy/pasted from Wikipedia describing what Gaucher's is and how it affects people. We also need regular content so Google knows the site is active, whether that be a blog, news articles, how to tips, etc. An Advocate blog (helping patients) would be great. If you are decent with SEO and like to write, please contact us. We cannot pay you. You will be volunteering your content and writings to Gaucher's Chat. If you have a business, blog, or website, we will gladly give you free advertising and link to your site. The site was built, is maintained and paid for by one person, with the exception of donations and advertising revenue (or lack there of). If you are willing to help us out, we will be willing to be a reference for you as well. Please tell us a little about yourself and how you can help. What are your ideas? We're looking for at least 1 copywriter and for at least 1 blog post per week. We also need help writing the content for the site for pages already created.